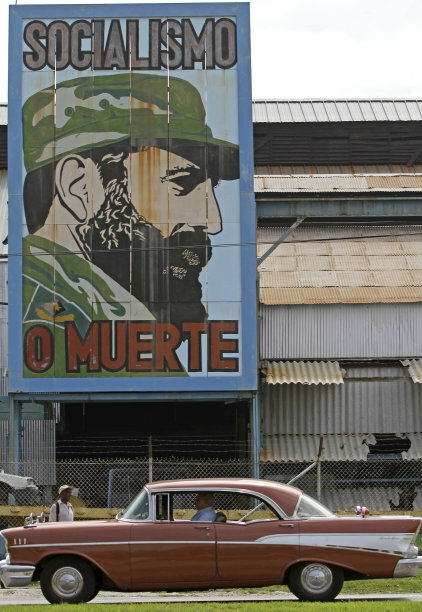 HAVANA (AP) â€” Revolutionary icon Fidel Castro marked his 85th birthday behind closed doors Saturday as the aging leader famous for railing against Washington increasingly fades from the spotlight â€” even if his outsize persona continues to cast a long shadow over Cuban society and U.S. relations. There were no announcements of how Castro planned to spend the day, though Venezuelan President Hugo Chavez, in Havana for cancer treatment, said via Twitter that he was with his longtime friend and political mentor. "Here with Fidel, celebrating his 85th birthday! Viva Fidel!" Chavez tweeted. The previous night two dozen musical acts from across Latin America held a concert in Castro's honor. "What we say in the songs of our invited artists will be little next to what he deserves," Alfredo Vera, one of the organizers, said late Friday. "Congratulations, beloved and eternal comandante." The former president didn't make it to his own birthday bash â€” hardly a surprise since he appears infrequently since he stepped down in 2006, at first temporarily, and then permanently in 2008, due an intestinal illness that he later said nearly killed him. Nor did his younger brother and presidential successor, Raul Castro, attend. Instead, first Vice President Jose Ramon Machado Ventura, who also delivered the keynote address for Revolution Day on July 26, was the highest ranking among several government officials in the presidential seats at Karl Marx Theater. 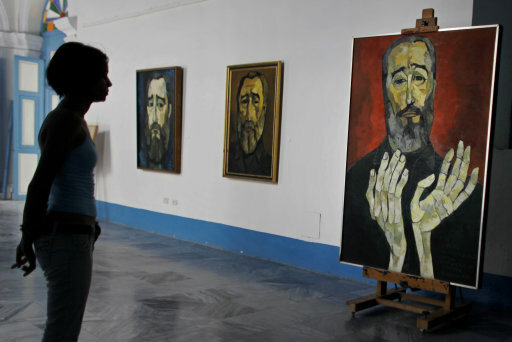 Also Saturday, an exhibition featuring works by artist Nelson Dominguez and Castro's son Alex, a photographer, opened at the Jose Marti Memorial in Havana. A gregarious public speaker as president, Castro is seen publicly these days in official still photographs and video footage, such as recent images showing him with Raul and Chavez. Gray-bearded and his hair thinning, Castro seemed unsteady on his feet when he made a surprise showing at a Communist Party Congress in April, walking to his seat with the help of an aide. It was at that same gathering that the party for the first time named a leadership council without him on it, as Fidel left his last official position. Yet even in retirement, Castro has continued to be a player on the island. Raul has said he consults with his older brother, and some Cuba-watchers say his presence has acted as a brake on reforms that Raul is betting will save the island's economy by loosening some state control. "I think the issue is how long (Fidel) is going to linger on and how long he's going to meddle in the government," said Ann Louise Bardach, a longtime Cuba watcher and author of the book "Without Fidel: A Death Foretold in Miami, Havana and Washington." "As long as he is alive and he is compus mentis, he's not going to change his thinking," Bardach said. "He's not going to have an epiphany about economic policy. He's going to do what he always did, which is the preservation of the revolution at all costs." Castro has publicly backed Raul's reforms, however, even though he expressed ideological dislike for similar openings while president. In retirement, Castro has been a prolific writer of newspaper columns and a series of books, including autobiographical accounts of the events that led him to take power after the 1959 revolution. "Nobody better than he understands the basic, primordial part of our history," official biographer Katuska Blanco said in an interview aired Friday on state TV. "He also has always said that history is made by leaders and the people." Castro is currently on a hiatus from the opinion pieces, many of them critical of U.S. foreign policy. He has published just one column since late May, though it's not unusual or unprecedented for his pen to go still for extended periods.